Well, if you do not mind, I go up and this and that people will test: your upload yours and let me know when (that can be downloaded without using git!) And I add anything new at no cost to you (if you want to take an eye for entertainment, do it ). Put the PSX game folder inside. 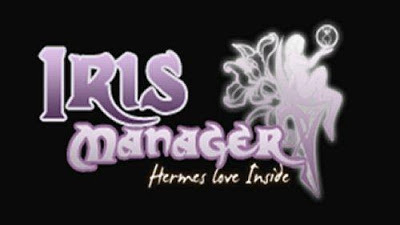 The folder name is used as the name of the game in Iris Manager. The PSX games should be files. Bin or. Img (or. BIN,. IMG) contend sectors of 2352 bytes. You can get from 1-8 files "iso"
Iris Manager takes the isos in alphanumeric order. When you throw a game with multiple isos you can rotate the screen in order the last moment. PSX config is saved in the game folder. | - Psx_config.cfg -> psx config. Iris Manager mounts USB / BDVD and HDD0 in that order of preference to change the hard disk virtually. If a device can be mounted It is used to simulate EJECT / PUT. NOTE: You can use a BR disc without problems PSX Emu patched. It is not necessary to eject the disc to play. As I comment if you can mount a USB device is taken as "eject" first, otherwise a possible CD / DVD / BR that can be mounted and ultimately the HDD (so you can not eject). This makes it possible that if we have a game on the internal PSX with a pendrive connected and we disconnect and connect back to be changed from "ISO" Changing ISO can only be done if the game is awaiting it and calling the appropriate function. This is because if "eject" (although no pendrive see activity in the eye) the green led flashes console. To get him back update the counter rotating. Note that the first version of the emulator: if a game does not work but you have the assurance that if it works from ps1_emu CDROM (not the net), you tell me if I can watch it.